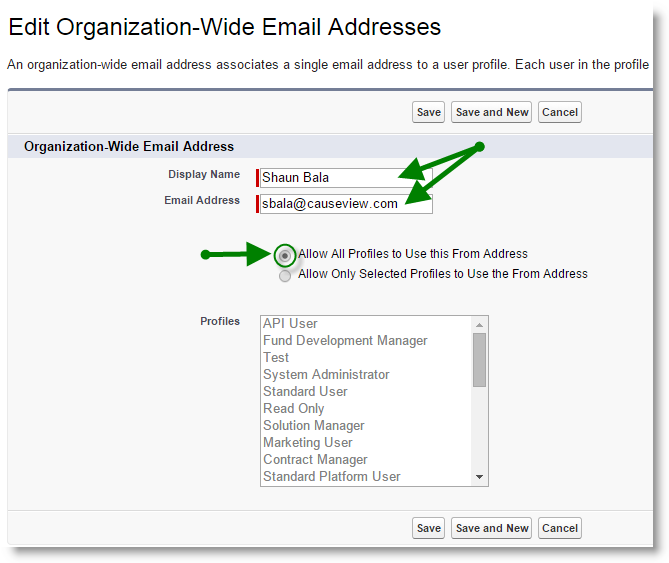 The sending email address ("From" email address) can be changed for email acknowledgements sent from Causeview. On the left side of the Setup page, look for the heading called "App Setup" (in some instances this is labeled as "Build"). Expand "Create" and expand "Workflow & Approvals". In the Email Alerts page, you should see the three workflows mentioned above. Click on "SendReceiptEmail" first and then click on the "Edit" button above the page. Scroll down through the page and look for the option called "From Email Address". From the picklist, select the sending email address you would like to use. If you do not see the email address you would like to use in the picklist, you may have to add it first as an organization-wide address (see how to add a new organization-wide address here). 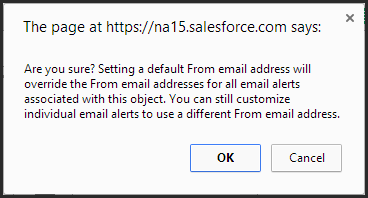 Next, select "Make this address the default From email address for this object's email alerts and then click on "Save". A confirmation message will appear on your screen. Click on "Okay" to continue. If the email address you would like to use as the sending email address does not exist, you would need to add it as an organization-wide email. In Setup, on the left side of the page, look for a heading labeled as "Administration Setup" (in some instances this is labeled as "Administer"). 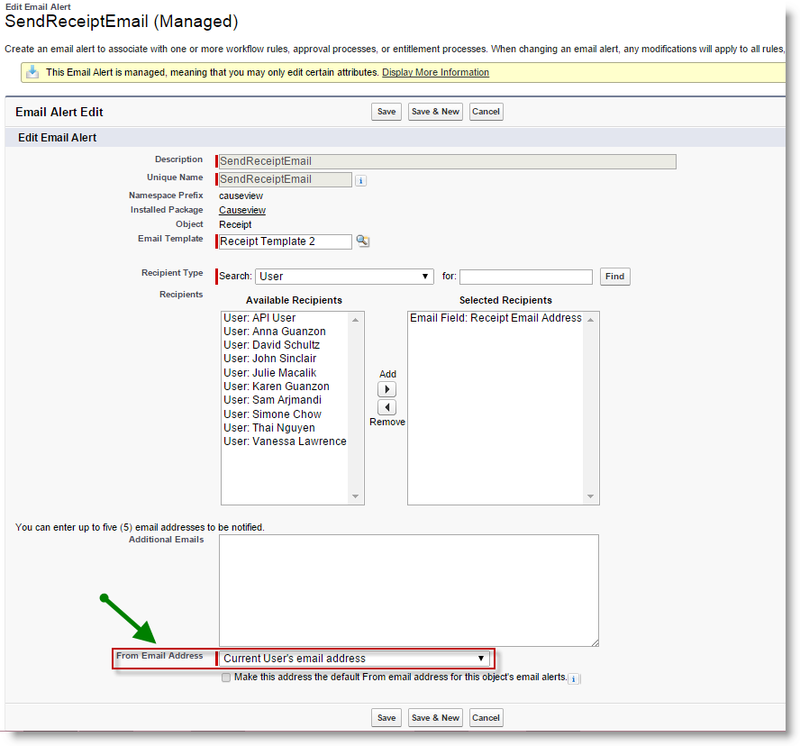 Under Administration Setup, expand "Email Administration". Under Email Administration click on "Organization-Wide Addresses". A list of existing organization-wide addresses will be displayed on the page. Click on "New". Enter the sender's name (this will be th name of the sender that the recipient sees) and the email address. Make sure that the email address you enter is a valid email address because Salesforce will send a verification email to the email address and you would need to verify it in order for you to be able to use the new email address. Specify which user profiles should have access to this email address and click on "Save". A verification email will be sent to the email address you added. You would need to then go to the email and verify it. Once the email address has been verified, you will now be able to use it.